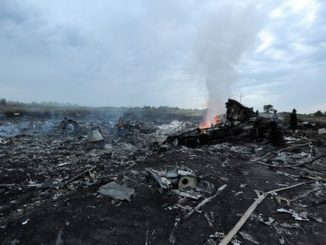 Last Thursday’s (17 July) air disaster, in which a Malaysian Airlines jetliner crashed near Ukraine’s border with Russia, killing all 298 people on board, is likely to be the result of a missile fired from the ground – a commercial plane tragically caught up in the war Kiev and its imperialist backers are waging against Ukraine’s eastern regions. 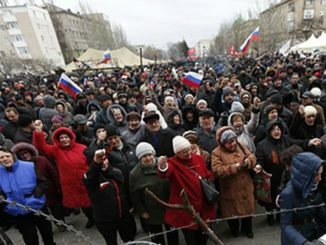 The crisis in Ukraine is escalating. 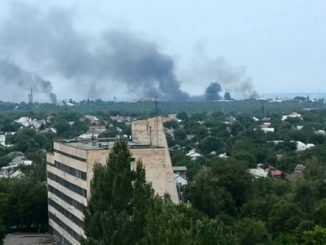 Unable to quell a growing protest movement against the February coup, the Kiev regime has mobilised army units to attack the people occupying government buildings in the cities across Ukraine’s east. Meanwhile, to deter the Russian Federation intervening to protect the pro-Russian population, imperialism is rapidly increasing its military deployments across the region. 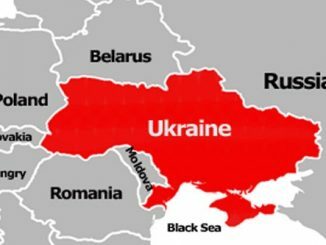 The Western backed parliamentary coup in the Ukraine was a significant advance for the US-led project of advancing its sphere of influence and pushing Russia further back in Eastern Europe. 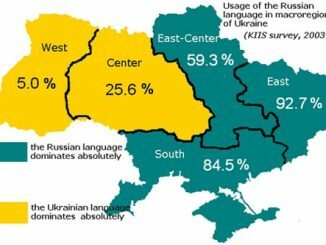 The US’s goals in the country have nothing to do with greater self-determination for Ukraine and are all about bringing it under imperialist control. Moreover this objective is not new, but has been the long-term aim of the US since the collapse of the USSR in 1991, to which end, aided and abetted by the EU, it has been funding and orchestrating pro-Western movements and organisations in Ukraine.